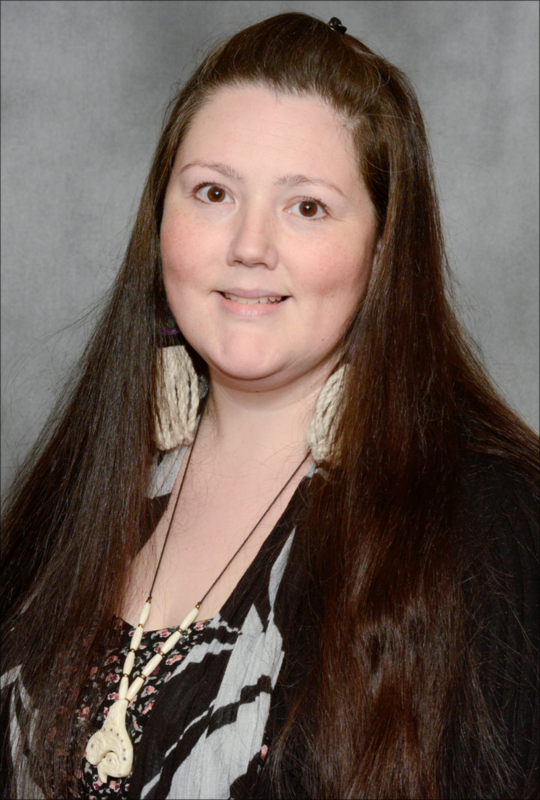 Juneau, AK (November 30, 2018) – Central Council of Tlingit & Haida Indian Tribes of Alaska (Tlingit & Haida) is pleased to announce the promotion of Frances Andrews to Tribal Court Administrator. Frances joined the Tribal Court in July 2017 to serve as the Lead Clerk of the Court. Prior to joining Tlingit & Haida’s Tribal Court, she served as the Registered Agent Clerk for Hoffman & Blasco and also held various positions at SouthEast Alaska Regional Health Consortium (SEARHC). Frances is in her final year of school and will be receiving her Bachelor’s degree in Business Administration with an emphasis in Management from the University of Alaska Southeast. In her new role, Frances will be responsible for the day-to-day operations of the Tribal Court, including case flow management; supervision of Tribal Court personnel; developing and implementing policies and procedures, statutes and other governing documents pertaining to the Tribal Court; maintaining the Tribe’s law library containing decisions rendered from the Tribal Court; developing the Tribal Court’s annual budget; and completing required reporting on all grants administered by the Tribal Court. Tlingit & Haida’s Tribal Court was established in March 2007 as a separate branch of government to exercise the Tribe’s inherent sovereignty and provide a culturally-appropriate forum for tribal citizens to address their judicial needs. Although the Tribal Court originally dealt solely with custody and child support cases, it has expanded services to include issuing protective and paternity orders, foster care placements and adoptions for children needing safe and appropriate homes, as well as conducting marriages and divorces. The Tribal Court is staffed by six employees (Presiding Judge, Appellate Court Administrator, two Clerk of the Courts, Juvenile Healing to Wellness Technician, and Administrative Clerk) and is currently developing and implementing a plan for circle sentencing, civil diversion and other restorative justice models to reduce recidivism and incarceration rates for tribal citizens; implementing a Juvenile Healing to Wellness Court; and providing technical assistance to Southeast Alaska tribes and communities to create individual, inter-tribal or regional court systems. “Through exercising our tribal sovereignty, Tlingit & Haida provides tribal citizens a safe and welcoming place to address legal matters and I’m excited to be a part of the Tribal Court as we continue to broaden the scope of our judicial services,” said Frances. Frances is the daughter of David Dowd and Michelle Clark and the granddaughter of Sally Phillips, Frances Betts Cropley, and David Phillips. Her Tlingit name is Kinduàan and she is a child of the Deisheetaan , grandchild of the Kaagwaantaan and Tsaagweidì , and was adopted by the Dakl’weidì . Frances and her husband William Andrews have four children – Corissa, Amanda, Shaun, and Artemis. In her free time, Frances enjoys beading, fishing, and travelling the country.